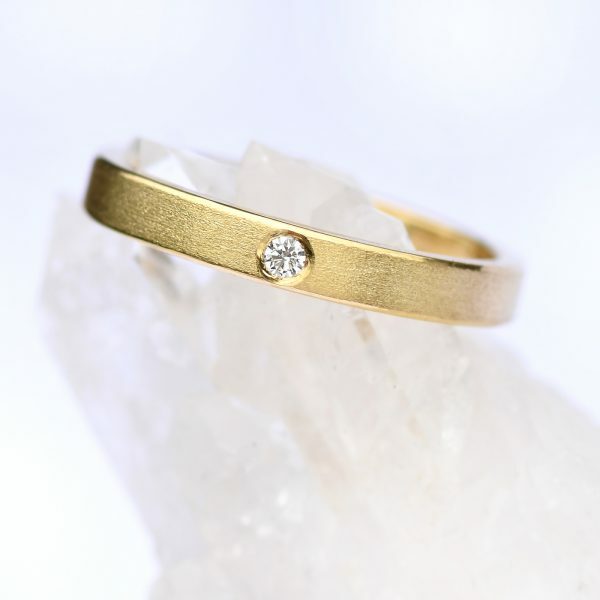 Lilia Nash specialises in creating ethical designer jewellery designed and made to the highest quality. 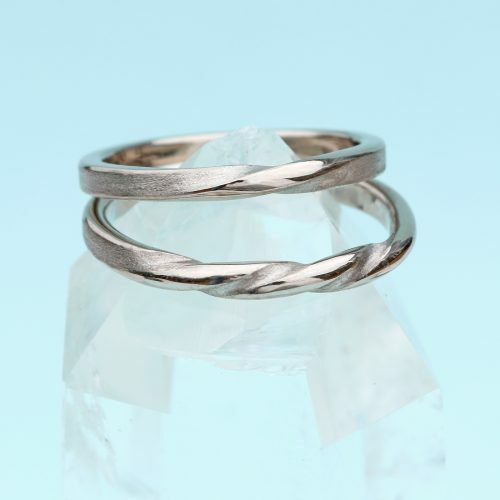 Unlike many High Street rings, Lilia's designs are created using solid precious metals including 18ct gold, white gold, rose gold, platinum and Sterling silver. 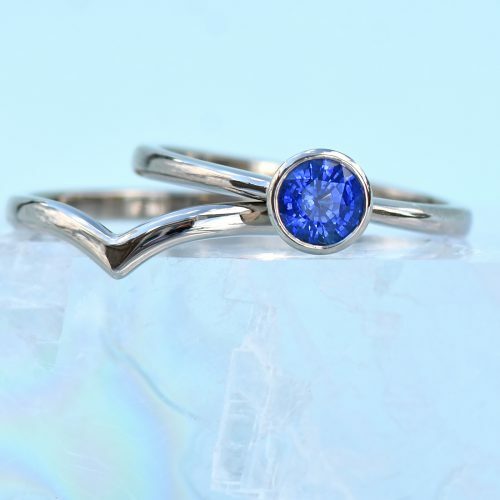 All of her jewellery is handmade using recycled metals, with optional conflict-free diamonds, fair trade sapphire and other ethical gemstones used to provide added sparkle to her unique designs. 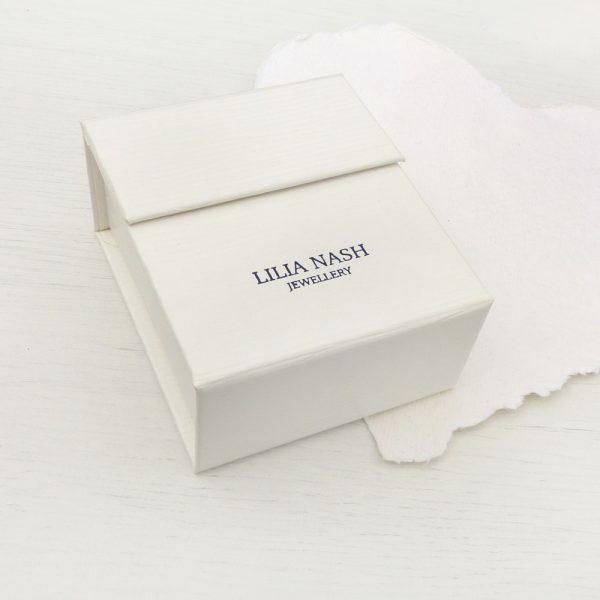 See the complete range of Lilia Nash wedding rings in one place. 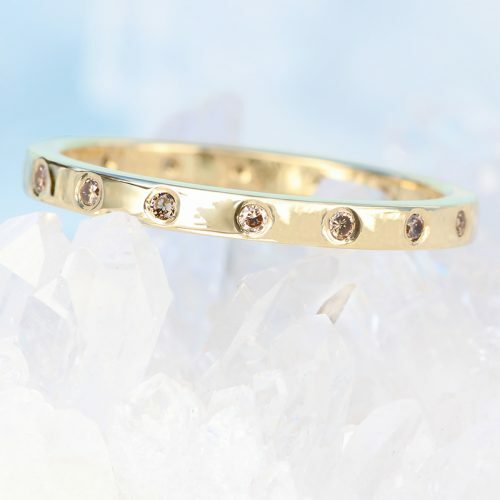 A wide range of band widths, profiles and designs are available, with optional diamonds and other gemstones for a unique twist on traditional designs. 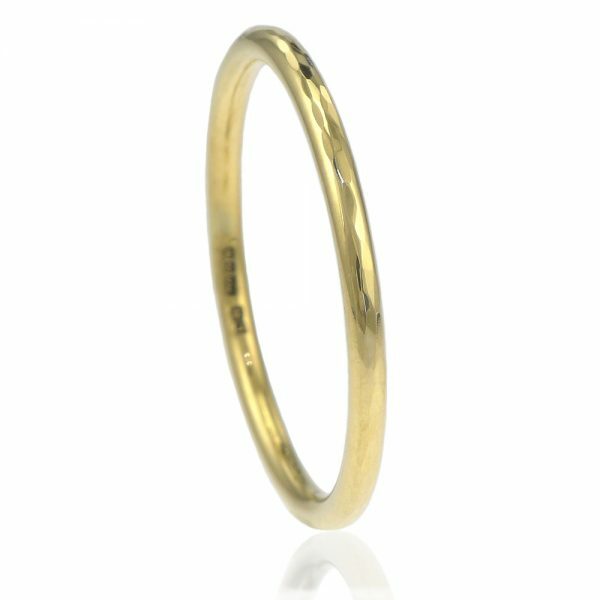 Choose any UK ring size from G - Z 1/2. 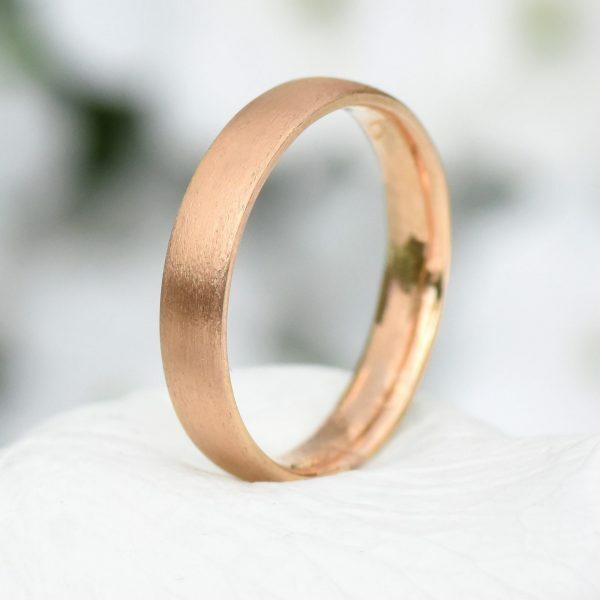 These beautiful wedding bands are handmade to order and will be dispatched within 6-8 weeks of your order date with free worldwide delivery. 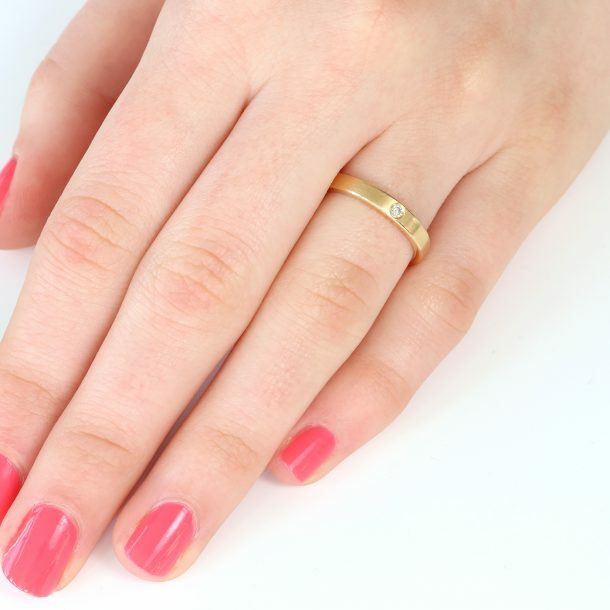 Design your own wedding ring with Lilia's bespoke wedding ring design service. 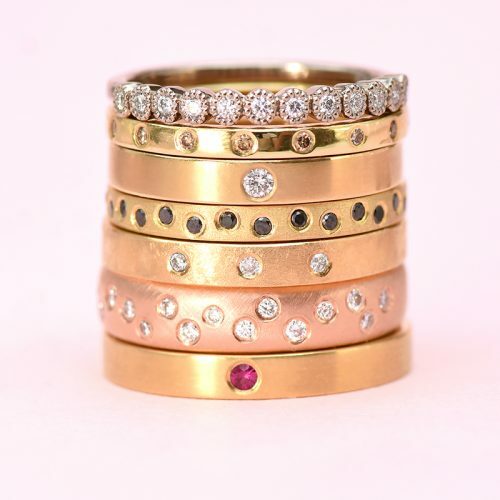 Choose one of Lilia's existing wedding rings for inspiration and add your own design tweaks including gemstones, diamonds, engraving or other details. 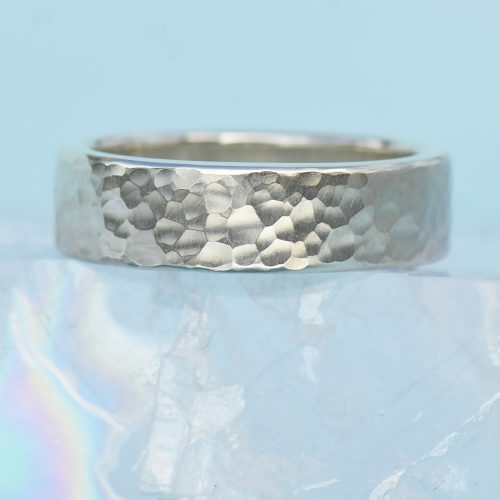 Bespoke wedding rings can be ordered in any UK, EU or US ring sizes, including half and quarter sizes. 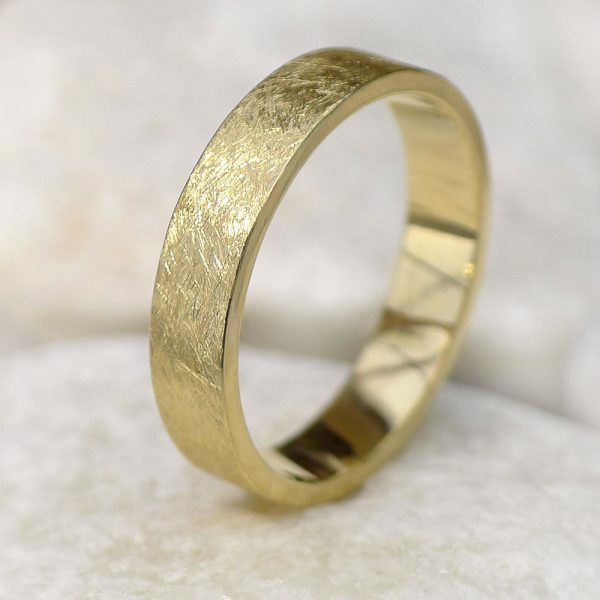 If you have your heart set on a particular style of wedding ring? 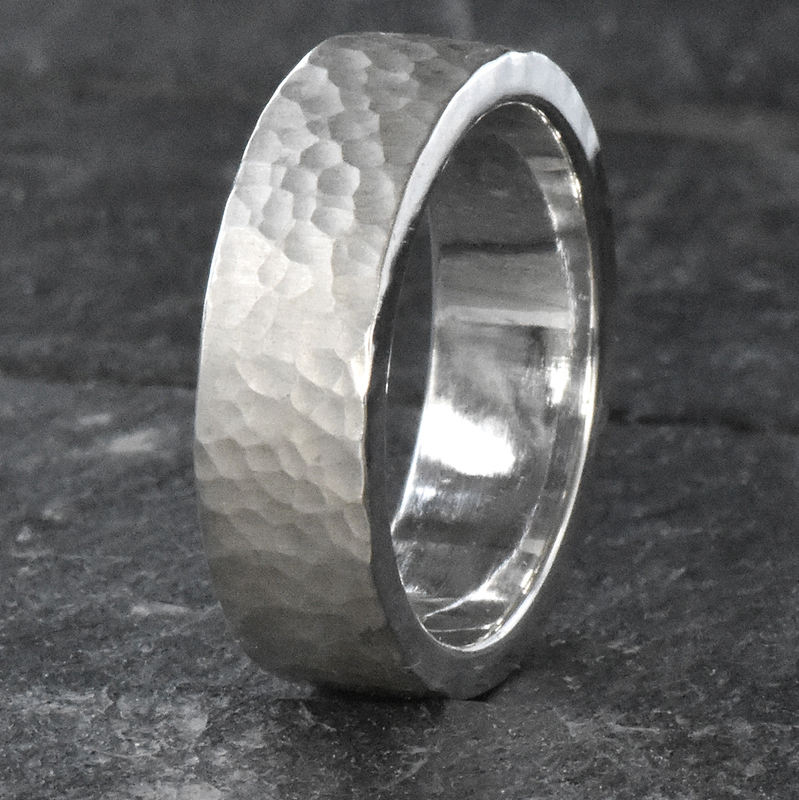 Looking for a hammered ring or other specialist finish? This is the best place to start. 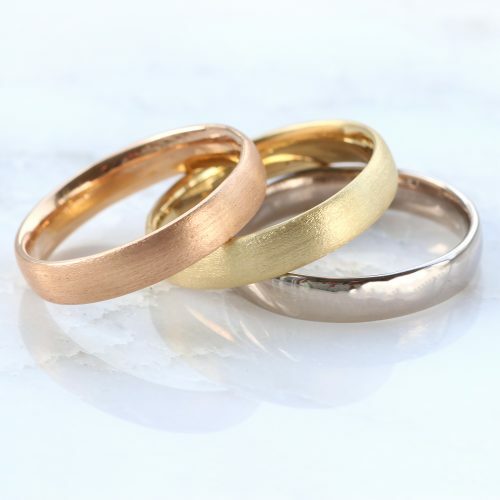 Choose between plain wedding bands and diamond wedding rings, bridal ring sets or traditional designs. 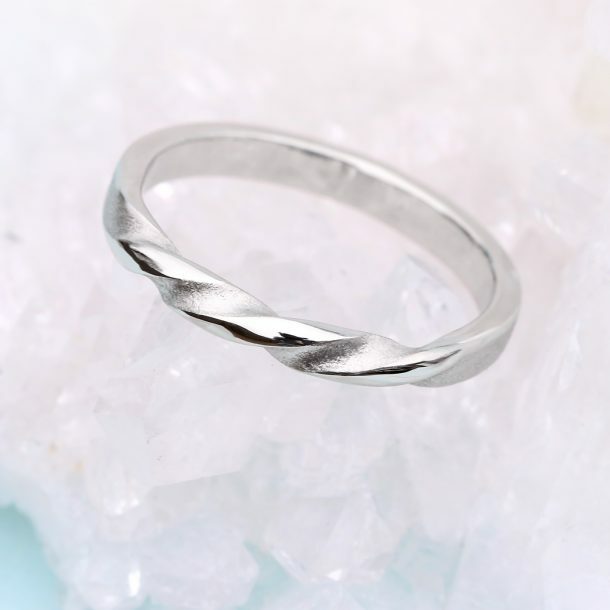 It's easy to find a wedding ring you'll love in our wedding ring style edit. From ultra-slim halos to wide comfort fit rings, if you know the width or profile you'd like - this is the best place to start. 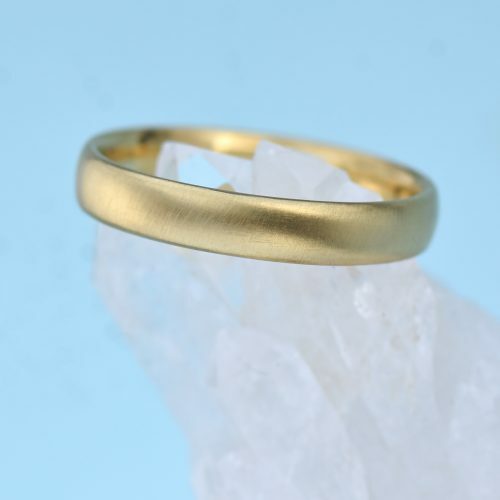 See just the widths or profiles you're interested in, with options in 18ct gold, white gold, rose gold and platinum as standard. In a hurry? 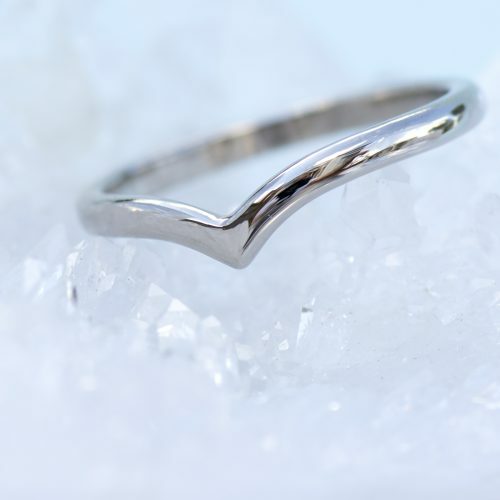 We have a limited range of in stock wedding rings available! 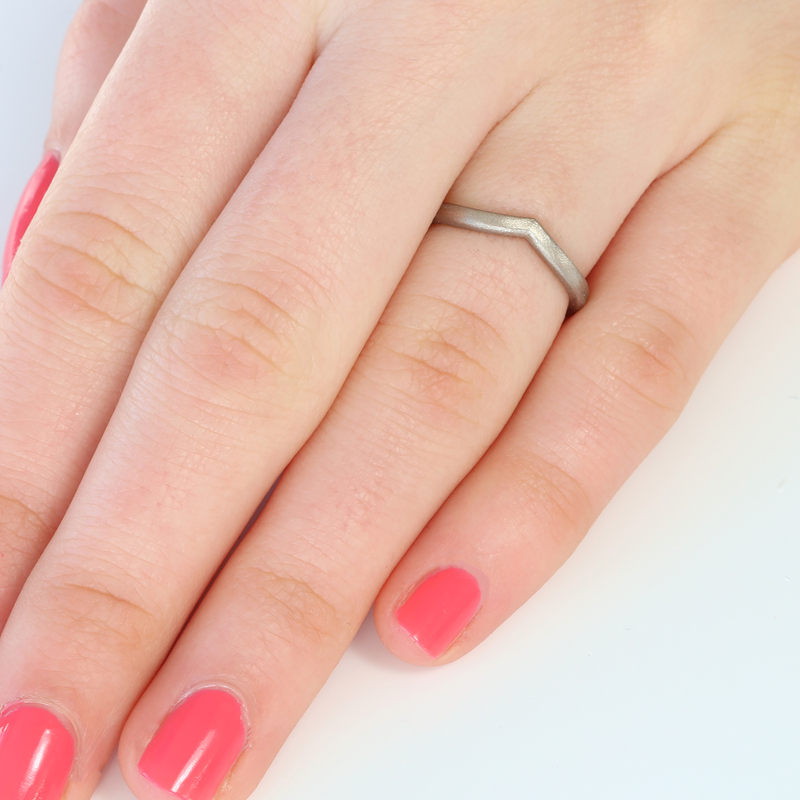 All of our in stock wedding rings can be sent to you the next working day if you order before 12pm (GMT). UK orders are sent via next day delivery. International orders are usually delivered within 5-10 working days from the dispatch date. 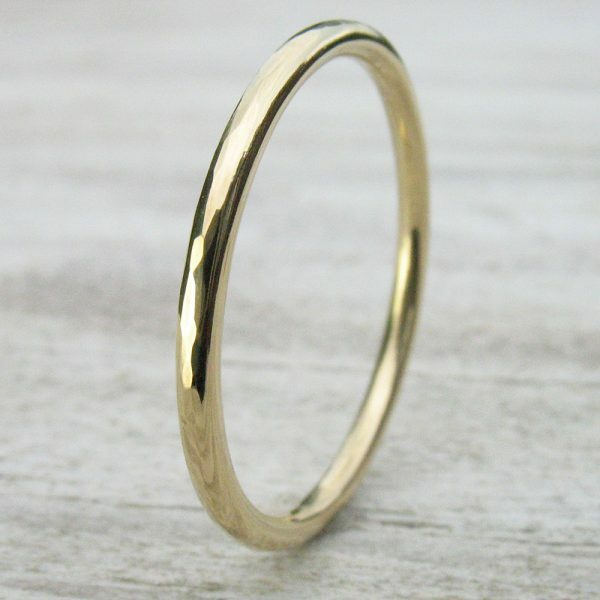 Men's wedding rings are traditionally thicker and wider than women's wedding rings, to better suit thicker and longer fingers. 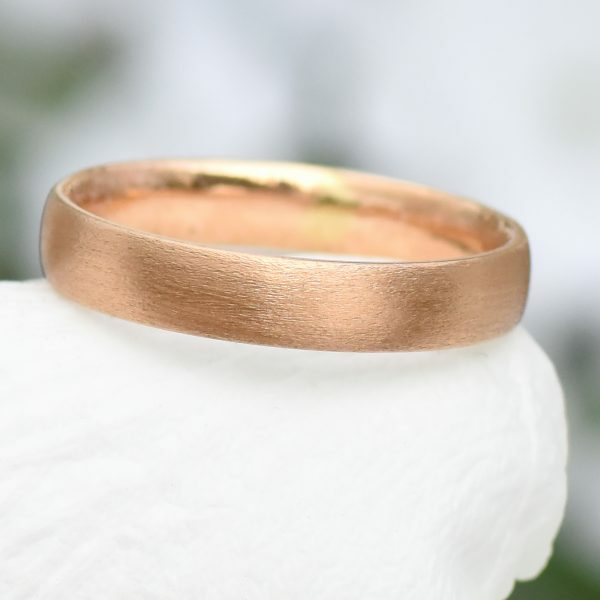 Most of our designs would be suitable as a wedding ring for men but if you'd like to just see our most traditional designs and finishes, this is the best place to start. Unsure where to start? 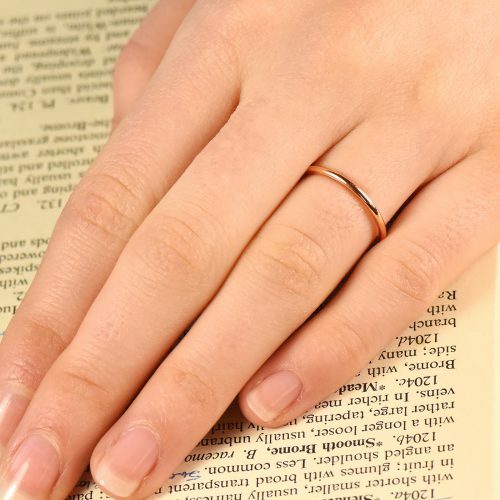 Take a look at our wedding ring advice guide for more information about different ring styles, how to stack a wedding ring with an engagement ring and other must-know information. 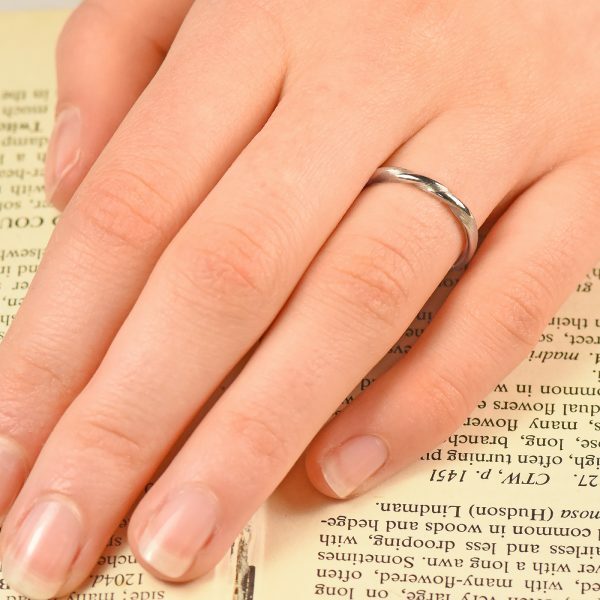 You can also find different ways to find what you're looking for by taking a look at our main wedding ring menu. 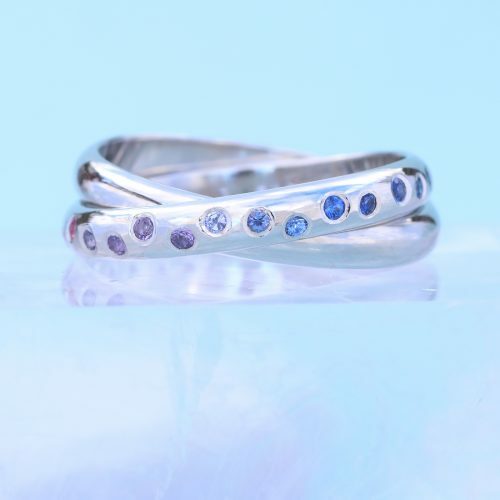 Browse our range by diamond or gemstone type, metal and other popular styles.